Shake rum and lime juice with ice cubes. Strain into an ice filled highball glass. Top with ginger ale and add a lime wheel for the garnish. 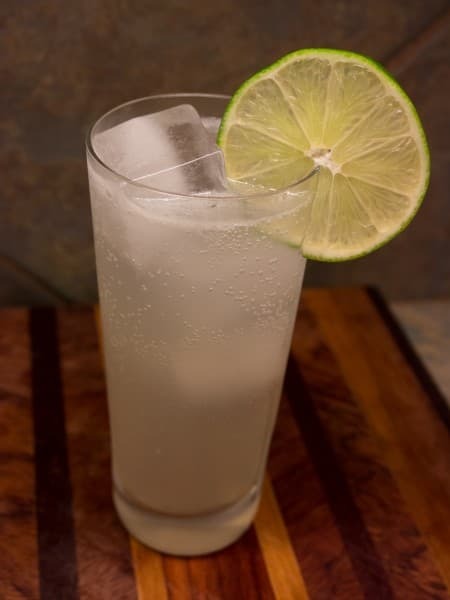 I used Goslings ginger beer with a splash of club soda to make this drink (the Goslings wasn't very fizzy and it's very sweet so a little leaning out with the soda was in order). This resulted in a pleasant Rum Buck - very refreshing with that little zip of ginger on the end. This is like a Dark 'n Stormy except with light rum and lime juice specifically added (a Dark 'n Stormy has a squeeze of lime at the end). If you have some Jamaica Ginger extract (recipe is on this site) you can make an "on the fly" ginger beer for a Rum Buck (or any Buck). About 10 drops of extract, 1 tablespoon simple syrup (2:1 strength), pinch or citric acid and top with club soda. You can alter the amount of extract to suit your taste. There are several variations on a Rum Buck that mostly involve which rum you use. A Jamaica Buck uses Jamaican rum (Appleton is a good choice) and a Barbados Buck uses Bajan rum (think Mt. Gay). There is also a drink called a Shanghai Buck, but I have not found a definitive type of rum that is used in it. If you have some insight on this libation, please comment below!